anyone have them for sale? I've seen chrome short ones around but over $500. 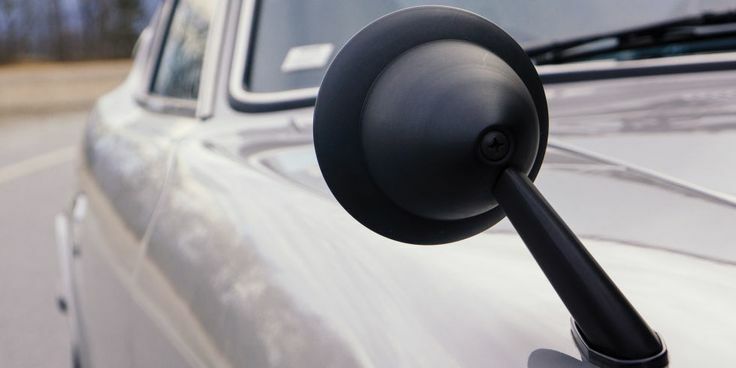 Just found this: "The 240Z / JDM S30 etc., 1969 - 1973, fender mirror option has part numbers 96301-E4100 (RH) and 96302-E4100 (LH) - these are the black, round face mirrors. I have had stock of these and can confirm that appearance. 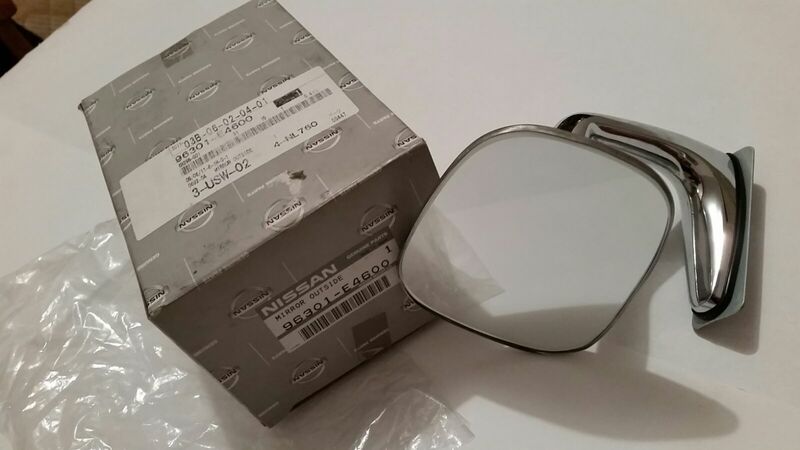 These mirrors continued into the 260Z / S30 models (late 1973 and onwards), but another option was added - part numbers 96301-N3400 and 96302-N3400." 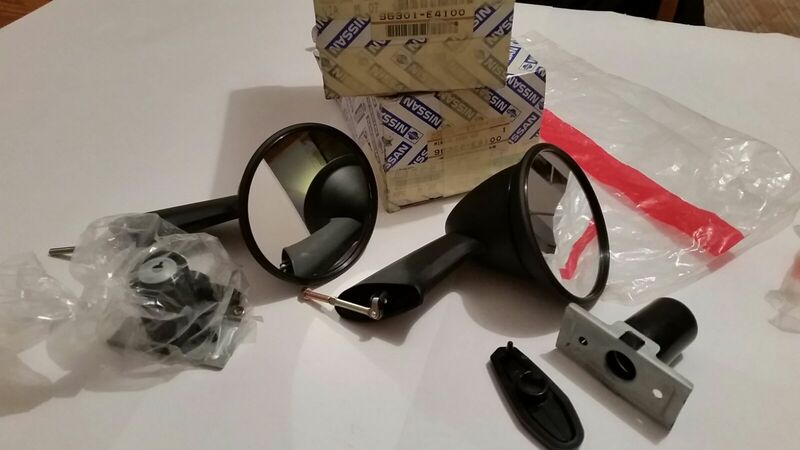 I also found this thread about some fender mirrors that look like the OEM wing mirror. They look a hell of a lot like the optional Nissan 1200 Sunny / 510 fender mirrors that pop up on eBay once in a while. 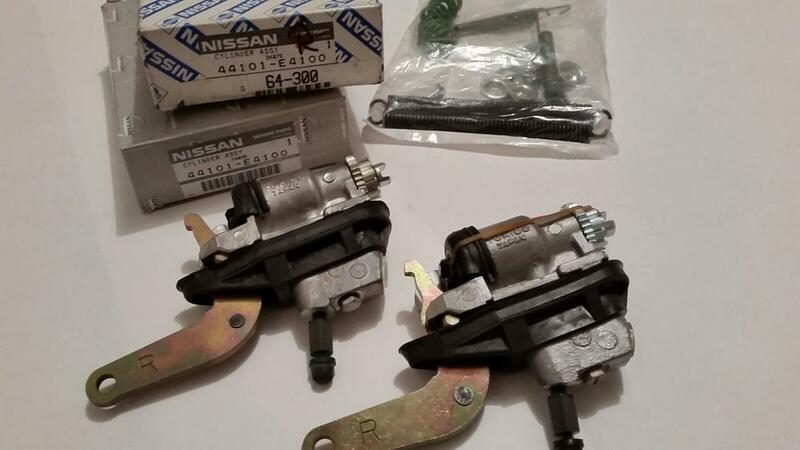 Today i got offered a set of Original fender mirrors IN ORIGINAL NISSAN BOX... what should i pay for these new (!!!) 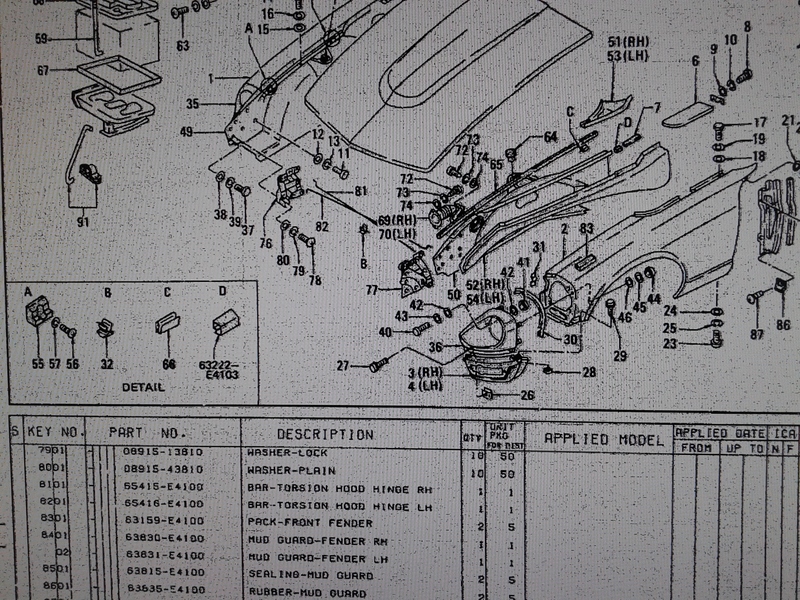 parts.. 96301-E4100 and 96302-E4100 !!! they are long stalk and dull black in color..
Those mirrors are like a piece of artwork... some people would pay a lot, others not so much. It’s up to the person buying them as to what they are willing to pay. I never cared for the look and most importantly their location on the fender is one more thing to have to work around. And you have your mirror(s) where, exactly...? Has anyone installed a brakecilinder RH on the left side? (i have 2 new cylinders but are both RH) can it be done with a little persuasion/fiddling? And presumably you don't find it is "...one more thing to have to work around."..? I have never found the factory-fitted fender mirrors on my cars to have got in my way. As with the mirror on your door, I just sub-consciously work around them. Unless you find yourself walking into your door mirror all the time? Moelk, that's a lot of money for some mirrors man... wow.. I'm also thinking of .... when i buy this new set, am i gona use them on my restoration car? it's almost a sin to use them huh? Yes they were expensive but the price was including shipping and import fees (I'm in Sweden) and on top of that the exchange rate sek to US dollar was in my favor. But still it's a lot of money. Where you going with this? Did I rub a sore spot Because you like them and I don’t? Blondes or brunettes right ? My opinion is the fender mirrrors are in the way compared to US mounted door mirrors. If it’s not to you great. I have zero issues if you like them on the fender. The same place you are, by the looks of things. I get that you don't like the look of them (even if nobody asked...) but I don't agree that they "get in the way" any more than any other externally-mounted mirror does. And I own and use cars with both factory fender mirrors and factory door mirrors, so I think I know what I'm talking about. Enjoy your brunette. I’ll stick with my blonde! As mentioned, I've got both. Hopefully your blonde has matching collar and cuffs.